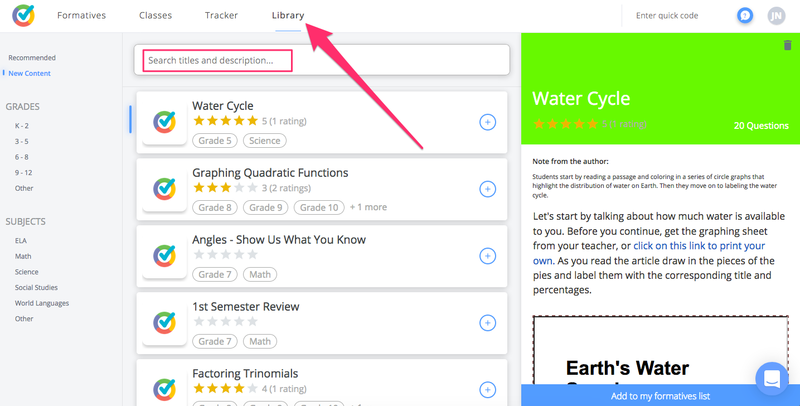 Visit our Library and grab a copy of a formative to use with your students! Since it's your copy, you can do anything with it (assign it, edit it, delete it) and it won't affect the original! 4. 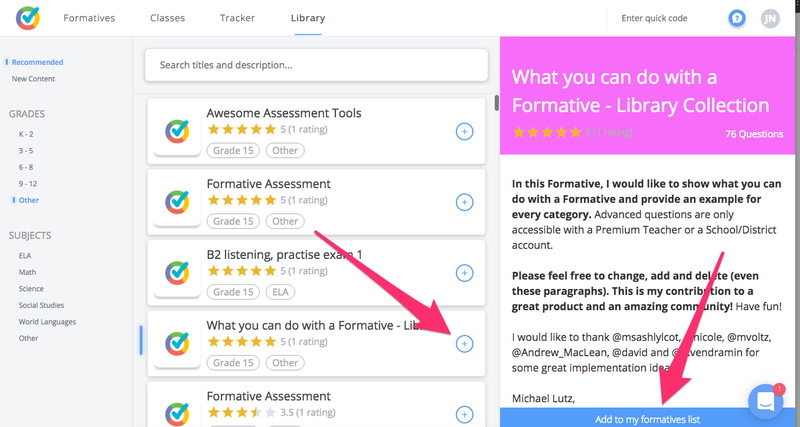 Once you find a formative you like, you can click on the title to preview it on the right-hand side. You can add it to your account by clicking on the + icon or "Add to my formative list"
Then the formative will be added to your account under "Formatives" for you to assign, edit or just for inspiration! Access Our Updated Video Tutorials!